I chose took this picture because I wanted to show that there are so many different people in the world and if you are different there is nothing wrong with that.Like in my picture I have 3 very different girls in my class 2 wear glasses and they speak different languages and their personality are different. I think it goes with my quote because my quote means to me to be yourself and do what you want to do because no one in the world is the same. I took a long time on my poster because I couldn't decide what I wanted. 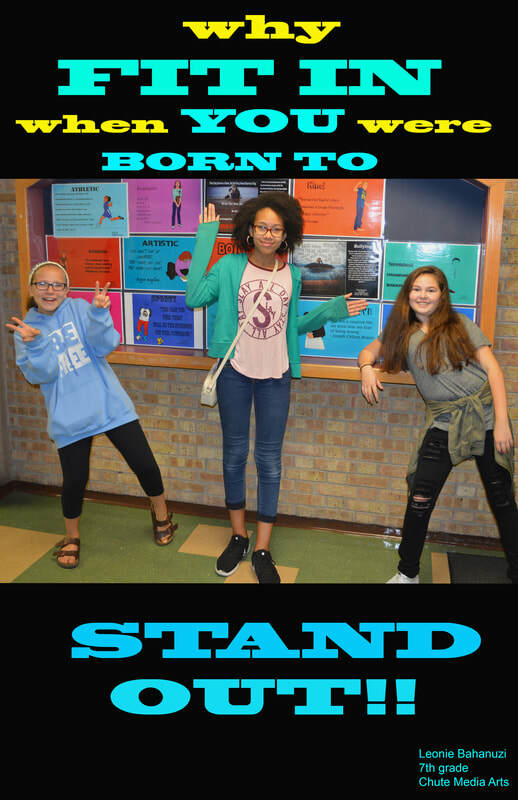 I ended up taking a picture of girls in my class.I chose the black background because it made the picture and the words stand out. The reason I wanted to write my words in yellow was because yellow is such a bright color and so is the blue. The reason I made the words in blue was because I wanted people to see the real message. Which was YOU WERE BORN TO STAND OUT. So thats why I made the words and different color and thats why I chose the black background because it make everything in my poster stand out. I chose this quote because I feel like in the world many people feel that they should act a certain way look a certain way or dress a certain way and I think that this message will make people feel different.Like no two people were born alike and thats ok.I think the most important message in my quote is BE YOURSELF. I think this will be a great message at Chute because there are so many different types of people here and I hope they take this message to heart. I choose this design because I feel like flowers are peaceful beautiful things. And I choose to 3D print because I think it would look great as a key chain and I could also carry it everywhere if I don't lose it.Another reason I choose it because I like the everlasting type of flowers and thats why I drew/traced this design.And as I said before I like flowers. In the end I had to do Laser cutting because the 3D printer was not working. The part that was laser cut want the flower stencil, not the background. 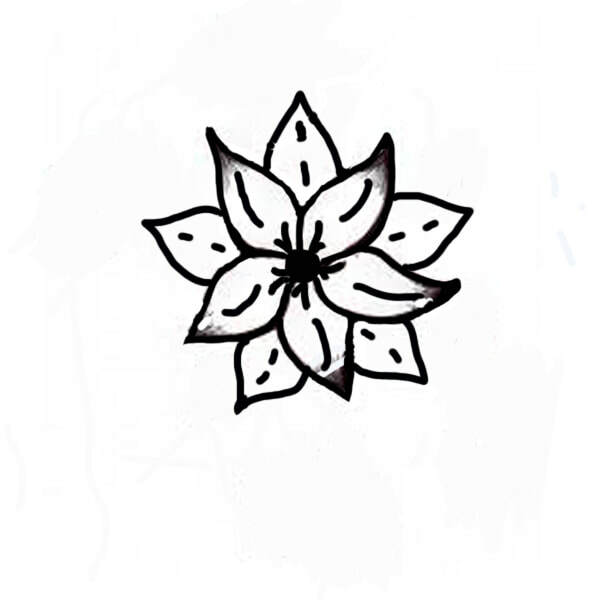 So the negetive part is the flower and the postive is the background or the white.